- Antique Japanese dolls SAGA-NINGYÔ. * New photo photospecial page: Ginkgo trees and Wollemi pine, Evolution garden, Valloires gardens, Argoules, France. * Added to my Art-page (picture gallery): Kosode with Ginkgo leaves, Edo period. Yesterday Google searchengine showed a doodle because of the first day of fall in the Southern Hemisphere. 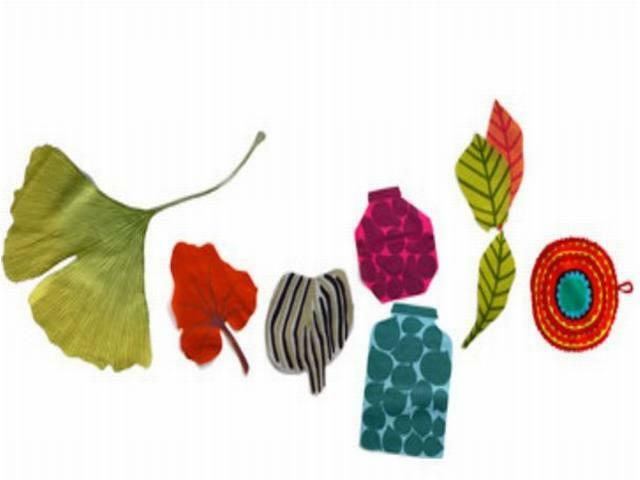 On the image - designed by Marimekko - you can see a Ginkgo leaf! Read more on this website. Google doodles link. Ginkgo trees in Charleston, S.C. 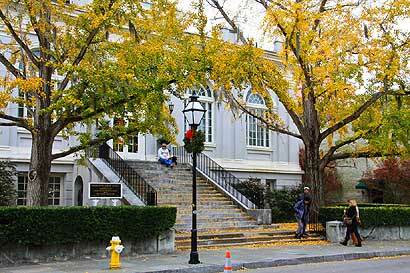 There are several Ginkgo trees in Charleston, South Carolina. On this blog by Joan Perry some of them are shown. *New topic: Glaucoma and Ginkgo biloba. *New topic: Alan Mitchell lecture at Kew Gardens about the Ginkgo. * Added Google scholar search box on Links-page. 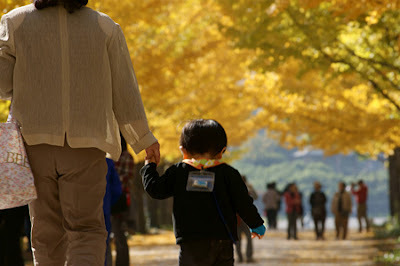 Huge Ginkgo tree in fall. Location: Bannaji temple in Ashikaga, Japan. Video by frerehideo on YouTube. 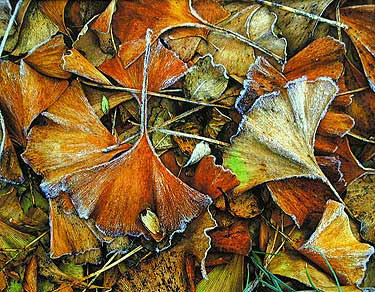 “Frosted Ginkgo Leaves”, photo by Sara Howell of Gainesville, Va.
Sara won best of show in the 79th annual Cumberland Valley Photographic Salon held in the Washington County Museum of Fine Arts, Hagerstown, Washington, Maryland. "Howell said she’s taken photos all over the United States and also overseas. But she shot “Frosted Ginkgo Leaves” in her front yard. Read more in the Herald-Mail.